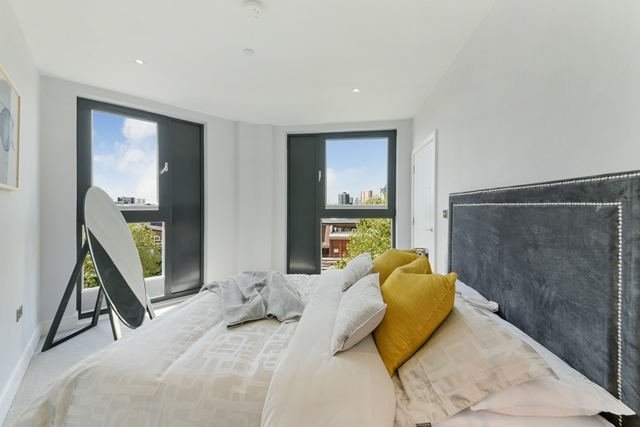 Carpenters Wharf is a boutique development of 35 canalside one, two and three bedroom apartments located in Fish Island, Hackney Wick. Carpenters Wharf is set to be an iconic new development for the area of E3. Located in one of London’s most vibrant and artistic communities, this distinctive collection of apartments designed by Studio Egret West, consist of sophisticated interiors and high specification materials with bold, industrial architecture that is in keeping with the unique aesthetic of Fish Island’s factories and warehouses. 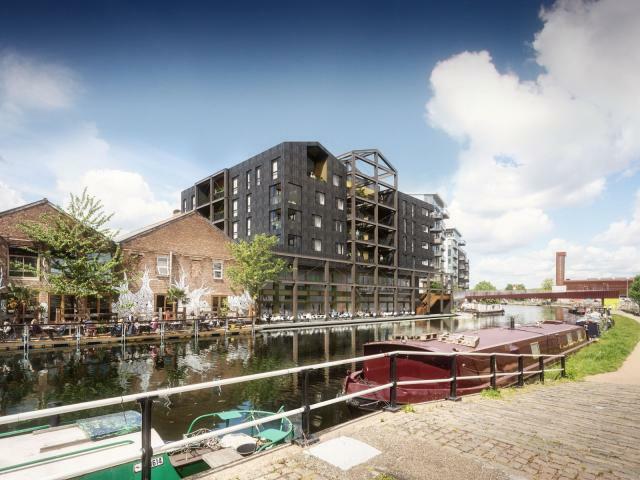 Externally, Carpenters Wharf has distinctive, exposed wooden frame features, darkened timber cladding, traditional brickwork and a pitched roof, echoing the character of the canalside warehouses that make up the Fish Island heritage. 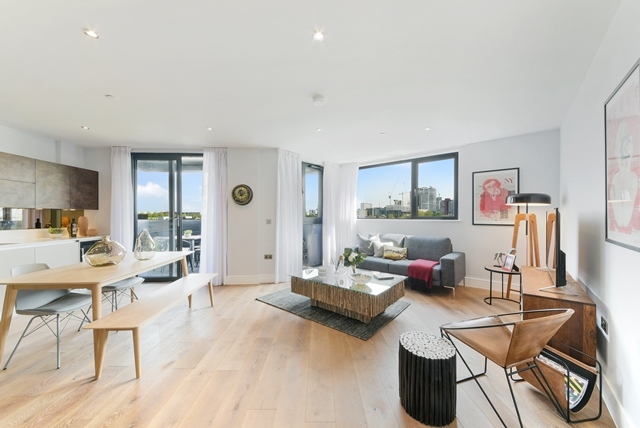 The scheme comprises a selection of one, two and three bedroom beautifully crafted apartments, built on the former site of renowned furniture and shoe makers, the canalside building has become a well-known landmark in an area that is rich in industrial history and heritage. 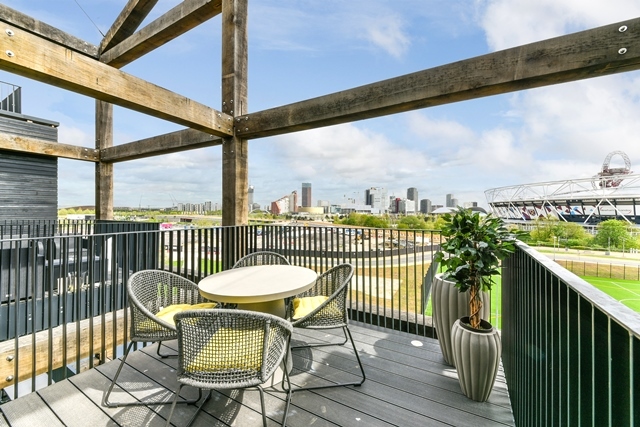 Located on the Northern tip of Fish Island, Carpenters Wharf is ideally positioned to benefit from a vast range of amenities and is within a short walk to Hackney Wick Station, Stratford International and local DLR stations. It is home to a thriving local area with an eclectic mix of bars and restaurants on your doorstep combined with artistic and community spaces such as Counter Café, Stour Space and Sugarhouse Studios. The green spaces of Victoria Park and Queen Elizabeth Olympic Park Gardens (access to over 560 acres of parkland) and world class sporting facilities, along with the Lea canal make for green, canalside living.